This fully-fledged scripting language came out in 1991 and gradually began winning developers’ love. Python is characterized by high functionality and comprehensive library support. Building apps for servers, desktops, and mobile devices is not this language’s only niche. It is also widely deployed in machine learning (check our blog posts dedicated to Pandas axis explanation and sequential data types in Python), as well as versatile data science research. After a short warm up-introduction to Python, we are ready to come over to its web development framework…the ‘One Unchained’. “Can you recommend a decent Django hosting provider?” was a frequent question within the community. However, troubles associated with hosting Django apps are gradually vanishing with such services as DigitalOcean or Heroku offering almost one-click installation solutions. 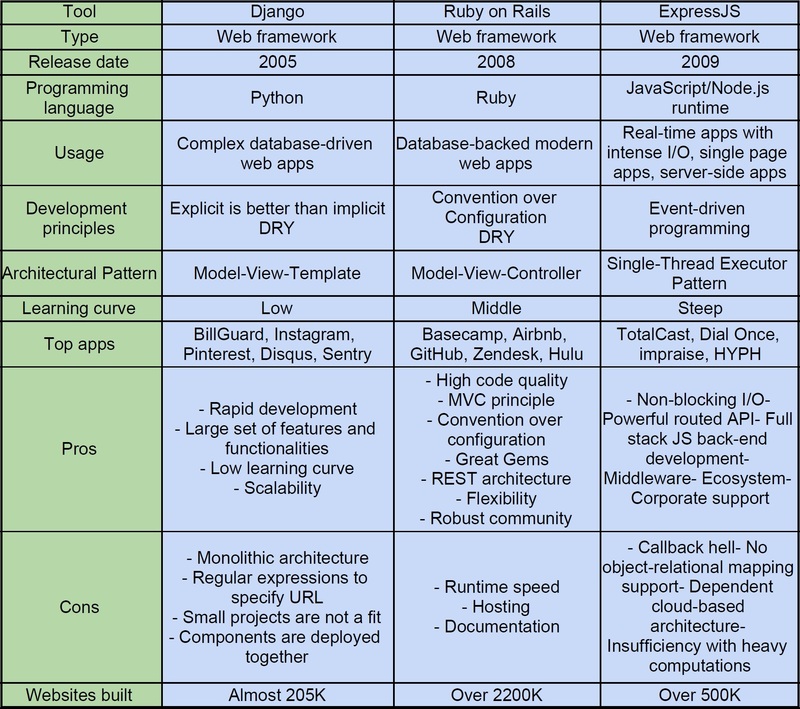 When talking about web development, you cannot but mention Ruby’s most prominent framework. Small and medium projects are the niche of middleware frameworks. Node.js, in turn, is a great choice for real-time apps, as well as projects that require handling a large number of simultaneous connections. Besides, low-latency heavy-load real-time parts of apps can benefit from the technology. If your future product is a gaming app, forum, ad server or another application requiring high speed and intense I/O, be sure that Node.js is quite the useful thing. Moreover, you won’t face any hosting issues since the technology is widely supported by numerous hosting providers like AWS, Heroku, DIgital Ocean, etc. However, large projects with the support of a large team of engineers might not be the case for Express. Railsware is a cutting-edge company, which is not focused on providing Ruby on Rails development services only. 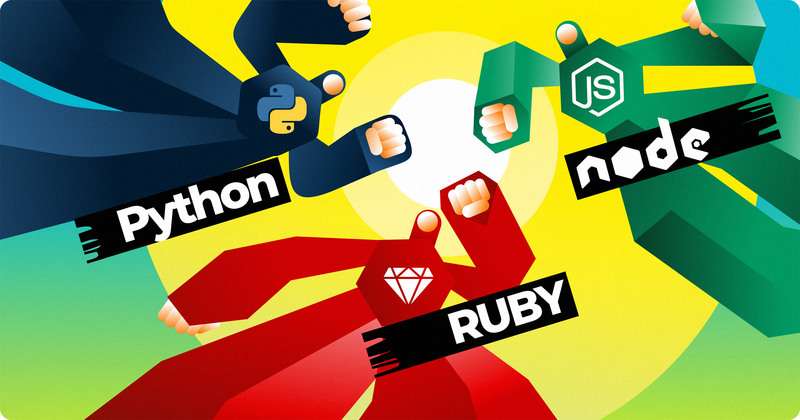 We attempt to maintain flexibility amid technologies because some projects may benefit from Node or Django, while others are better to build with Ruby on Rails. We also recommend you follow this principle to get the best efficiency for your future product.